In 1969, the Metropolitan Museum of Art in New York mounted a major exhibit called “Harlem On My Mind.” There was just one thing wrong: the show had no work by African-American artists. The “Harlem on My Mind” fiasco is emblematic of the barriers Black artists have faced when it comes to having their work exhibited and collected. 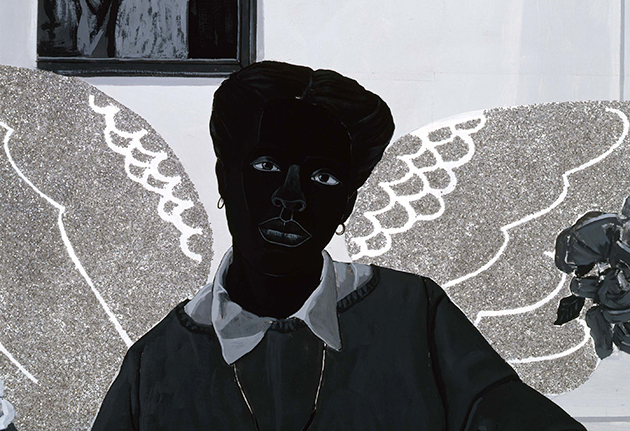 BLACK IS THE COLOR highlights key moments in the history of African-American visual art, from Edmonia Lewis’s 1867 sculpture Forever Free, to the work of contemporary artists such as Whitfield Lovell, Kerry James Marshall, Ellen Gallagher, and Jean-Michel Basquiat. Art historians and gallery owners place the works in context—juxtaposing them with racist images of African-Americans as minstrels, for instance, and setting them against the larger social contexts of Jim Crow, WWI, the civil rights movement and the racism of the Reagan era. Meanwhile, contemporary artists discuss individual works by their forerunners and their ongoing influence. Both comprehensive and lively, BLACK IS THE COLOR is a much-needed survey of great work by artists whose contributions were neglected by the mainstream art world for far too long.